I'm not going to kid you, dining in Napa can get really expensive but if you follow my advice you can get that Napa dining experience without blowing your budget. And don't forget to check out picnics as a huge way to stretch your dining budget without sacrificing experience. Eight Noodle: $14.99 lunch special with chicken, egg, pork bun, and rice - drink included. Hog Island Oysters: Happy Hour deals will make you very happy. Redd Wood: Craving a steak? $35 ribeye big enough to split, add a pizza and you barely break $50 for two. La Luna Market: Nothing upscale here, just solid Mexican food to go that will make your next picnic unforgettable. Red Rock Cafe and Back Door BBQ: Take out or dine in, this might be Napa's best BBQ. Full dinners for under $20. Clement's Italian Takeout at Vals: Take out Italian fare in the back of a liquor store. Seriously! To go food has never been so good! Filippi's Pizza Grotto: This is old school Italian, nothing gourmet, nothing fancy, but if you want huge portions of spaghetti and meatballs or giant pizzas oozing with cheese, this is it. The Kitchen Door: The "nice" restaurant inside the Oxbow Market with everything from Asian noodles to pizzas, all under $20. If you have your heart set on dining at the big name Napa restaurants, don't let your wallet boss you around. Instead order smart and enjoy the experience! Rutherford Grill: Can get pricey but no corkage fee keeps the final tab in check. Sit at the bar, order a grilled artichoke and split an entree and you get all of the experience at a fraction of the price. Bouchon: Leave the American Express card at home. Just order the Croque Madame, a fancy ham and cheese sandwich with Keller's famous frieds - under $20. House wines perfectly acceptable here. Bistro Jeanty: Lovely French restaurant, get the Coq a Vin (chicken, mushrooms, red wine sauce) for a mere $21. Hurley's: Sit at the bar and get the wild boar sliders ($16) and share an order of truffle fries with bacon and melted cheese ($12) and it seriously does not get much more Napa than this! Picnics and Napa go hand in hand even if you're not trying to save money. I like to start early in the morning at Oxbow Market, gathering cheese and meats and bread before my first tasting. (Tip: bring some ice from the hotel to keep things cool and that extra blanket in the closet). Then I like to aim a tasting at one of the wineries that allow picnics and combine some wine tasting with my lunch. Remember, not all wineries allow picnics and of those who do some are significantly better than others. Here is the complete Napa Picnic list but below are my favorites. Rombauer: Way off the beaten track, picnic tables under the redwoods, nice and secluded. Napa Cellars: Terrific picnic spot with wines by the glass. 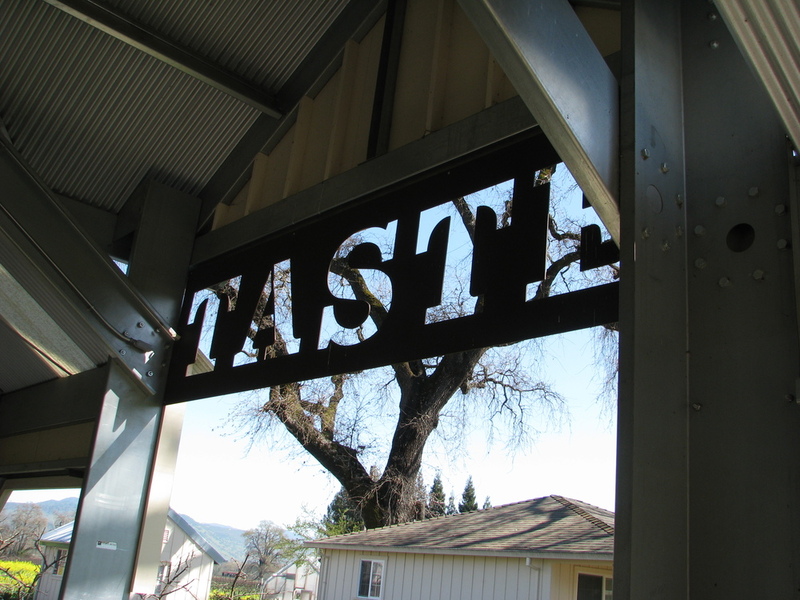 See all of Napa Picnic Wineries with photos of each spot.